Folks if there’s one thing I’m passionate about in this world, it’s linen. 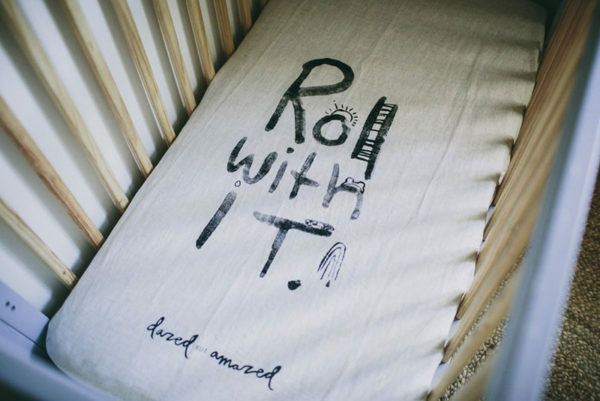 Now bed linen made from actual linen promises to not only be hard wearing which is brilliant for young children, but it also gets softer and more beautiful with every wash. I give you Dazed but Amazed – which you will be once you feast your eyes on their sheets! The mainstay of every Aussie cot is a fitted sheet. With so many babes in sleeping bags now, dare I say a fitted sheet really is the only bedding you need to fit out your cot. Lucky for us, Dazed but Amazed make exquisite fitted cot sheets. Screen printed by hand, each design is of a limited run, so grab it while you can or risk it being gone forever. 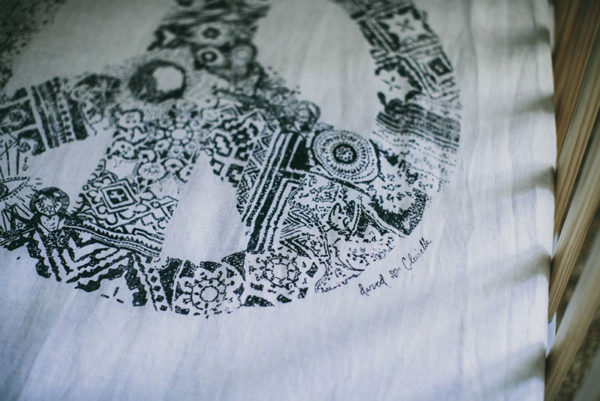 Choose from several designs including peace signs, roll with it slogans and a sweet adventure print. I personally adore the koala print. Perfect for lovers of Australian animals and Aussies living abroad, this sweet sock wearing marsupial is as cute as can be. 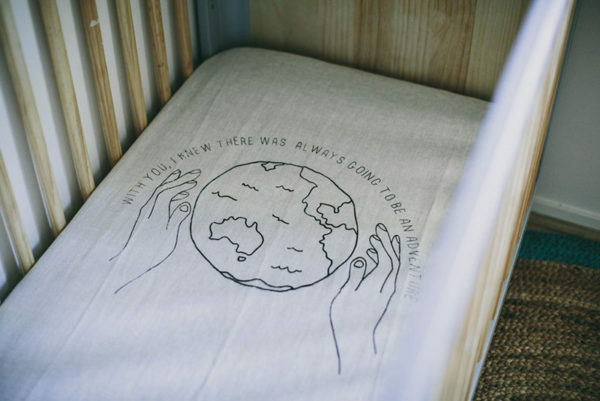 Pure linen fitted cot sheets are priced from $85 and available direct from Dazed but Amazed.